“Christmas! I looooove Christmas!” And as you may be able to tell from the content of this site, I love movies and TV. Combine that with my love for this time of year and you come to the conclusion that I love Christmas entertainment. While every family has their traditions, one of my family’s favorite traditions has always been to watch our favorite Christmas programming in the days leading up to the 25th. 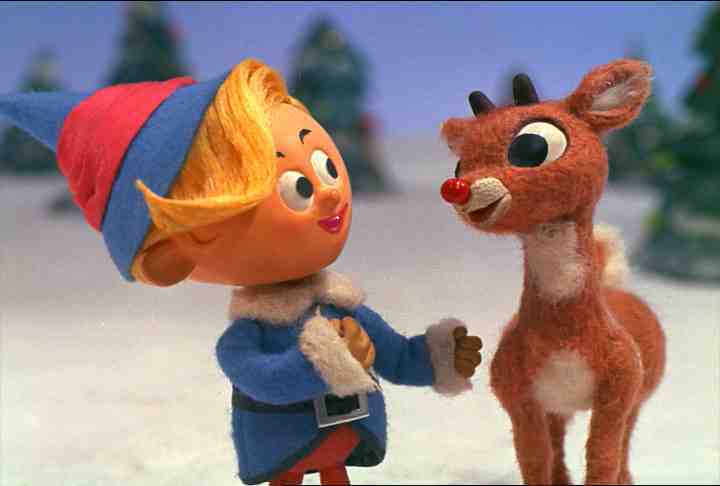 In this first of four part Christmas-themed blog post series, I am going to countdown my top 10 favorite Christmas TV specials. 10. Frosty the Snowman – I chose this one partly because it’s a classic and partly because I love how doofy Frosty is. Although I suppose a day-old snowman can only be expected to have so much intelligence. I still love his “Happy Birthday!” And is it just me or is there some liberal propaganda in this children’s special? Death by greenhouse effect? 9. Any ABC Family Christmas Movie – I admit that I am cheating a bit here because this more than one submission and they are movies, but just work with me here. Netflix is rife with these holiday delights. My personal favorite is 12 Dates of Christmas. It’s about what you would expect but better. 8. Extras: The Extra Special Series Finale – Apparently, Ricky Gervais likes to end his shows with epic Christmas specials, which made it very difficult for me to NOT put both of them on this list. First of all, if you have not seen this show and like your celebrity cameos with some bite (Kate Winslet giving advice on how to talk dirty, Orlando Bloom refusing to believe he is less attractive than Johnny Depp, and Daniel Radcliffe trying to seduce every woman he meets to name a few), then I recommend this show. The Christmas special is perfect holiday fare as the main character, Andy, struggles to maintain his dignity and relationships with the onslaught of fame. The ending is a perfect blend of touching and funny with just the right amount of things left unsaid. 7. A Colbert Christmas: The Greatest Gift of All! – Colbert trapped in bear country! The horrors! This one gets a spot on the list solely for John Legend’s “Nutmeg” slow- jam and Colbert’s “Operation Humble Kanye” campaign to get the special’s soundtrack higher on the iTunes charts than the self-proclaimed “voice of this generation of this decade”. Pay close attention to the following over-exaggerated eye roll. Oh brother. 6. A Disney Christmas Gift – I actually haven’t watched this one since my family made the move from VHS to DVD because it got lost in the transition, but I have always been a sucker for nostalgia. I will always loved Chip n’ Dale messing with Pluto while decking the halls and Huey, Duey, and Luey making snowball war. 4. The Office (UK) Christmas Specials – I’m sorry but I had to. If you know me at all and if you know what happens in the last ten minutes, then you know why. Perfect way to cap off the series. 3. How the Grinch Stole Christmas – I’ll have the Roast Beast and Who-hash platter, but hold the Jim Carrey. Blegh. That’s just wrong. 2. A Charlie Brown Christmas – File this one under “A-duh!” This is pure Christmas perfection with the best dance sequence ever. I could list all of my favorite bits, but how about you just take the 30 minutes to watch it yourself. Added Christmas bonus message: If you are patient enough with kids who are really crappy to you, they’ll magically decorate your twig to become a Christmas tree. 1. 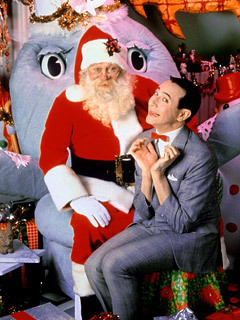 Pee-Wee’s Playhouse Christmas Special – This one gets billing over Charlie Brown mainly because I once saw it on a list of the worst Christmas specials. I know you are but what am I? Say what you will about Pee-Wee’s “extra-curricular activities” outside the playhouse, but I laugh harder at this every year. Get into the Christmas spirit as Magic Screen reunites with his cousin Magic Johnson, as Chairy meets Cher, and as Pee-Wee comes up with a solution to his fruitcake problem. This is exactly what you would expect from a Christmas special coming from the Playhouse, making it perfection. Did I miss your favorite? Stay tuned for my top 10 favorite holiday episodes, holiday movies, and holiday songs! « Top Five Sick Day Movies!